(7-25-18) Mental Health Advocate Doris A. Fuller returned to Washington D.C. recently to testify before the Federal Commission on School Safety at the Departmental of Education about the Health Insurance Portability and Accountability Act of 1996 (HIPAA) and how it often is used to “stonewall” families trying to help a loved one with a serious mental illness. There are three hot button issues, in my opinion, that often are divisive in mental health circles – HIPAA, Assisted Outpatient Treatment, and the Medicaid Institutions for Mental Diseases exclusion. I am reprinting her testimony to encourage discussion about HIPAA on my Facebook page. When I first met Doris, she said I was responsible for her moving to Washington D.C. She explained that after she read my book, she felt compelled to find an advocacy job here. Later, I met her daughter – who was the real reason why Doris felt so passionately about our broken system – when Natalie was in a Fairfax County Va. psychiatric ward. It is a privilege to be here today as a mental health advocate and family member who has observed HIPAA’s role in mental health care delivery in a number of settings, including on a college campus. A few years ago, I was asked to talk about mental illness and violence to the leading organization for student affairs officers on college and university campuses. Mental illness nearly always emerges by the age of 24 – in late adolescence or young adulthood – so these school officials are working daily on the front lines of mental health. In fact, because of the age that serious psychiatric disease typically starts, it is likely that no single other institutional setting in America serves so many individuals with mental health conditions as our high schools and colleges. During my talk, I extolled the phenomenal communication, support and encouragement my daughter Natalie and I received from state university officials and health care providers when she had her first psychotic break as a college senior. Her symptoms led to a number of extreme behaviors, including painting her naked body blue from head to foot and pressing body prints all over the walls of the school’s art building. She was not a typical or easy student to serve. Yet, in significant part because of the university and its health center’s active collaboration with me in getting Natalie safely through these episodes, she ultimately returned to campus and graduated. At the end of my talk to the group I asked if anyone from her university was in the room. Two hands rose timidly in the back. After I finished, they came up front to talk to me. By this time, I was working at the Treatment Advocacy Center and regularly hearing from families in crisis because of mental illness in their young adult children. I had learned that few students and families experience the open, collaborative approach Natalie and I did. Why was that? I asked the officers. How could you talk to me and work with me, as a family member, when other schools around the country won’t even return parents’ calls? They told me it was a matter of institutional policy and practice. The university was guided by the conviction that it had the authority under HIPAA, FERPA and applicable state laws to act in the best interests of its students, even if their actions required disclosing personal health information or other confidential matters to families. It was their belief that acting in the best interest of their students was their business. I heard a similar description of privacy considerations when I attended a 2013 hearing of the House Subcommittee on Oversight and Investigation. The committee was taking testimony into whether HIPAA helps or hinders patient care and public safety. In his written and oral testimony, the director of the Office of Civil Rights for HHS emphasized that the HIPAA Privacy Rule allows communications between health care providers and patient family and friends. Family members would tell you provider “reluctance” is a gross understatement. “Stonewalling” comes closer to what many experience. I myself have stood in the emergency room of a hospital not 15 minutes from this room, with my daughter bleeding and hallucinating on a gurney beside me, and been told that federal law prohibited hospital personnel from informing or involving me in her care. HIPAA is itself flexible and accommodating, and the federal government has made a significant effort to get that message across to medical providers. Since that 2013 House subcommittee hearing, multiple government offices have issued unambiguous guidance that should by now have ended the stonewalling. HHS distributes extremely user-friendly fact sheets for providers and caregivers through its website. Words like “The health provider can share information” in the patient’s best interest are repeated over and again. The 21st Century Cures Act took these efforts a step further by establishing statutory requirements for model training for health care providers to assure they know what is permissible under existing rules. To date, however, these requirements have not been funded, and they are not being implemented. It bears repeating that, while medical providers, schools and a host of others routinely claim they withhold information or bar family members from treatment deliberations to avoid liability for violating HIPAA, to my knowledge, there has been no case, ever, of an individual provider being sued for a HIPAA violation and, in fact, there is no statutory provision in HIPAA for such legal action. It also bears repeating that the mental health treatment narrative for young people in general has moved emphatically to the position that family members play a critical role in recovery. Family engagement is a cornerstone of the coordinated care model developed by the National Institute of Mental Health for responding to first-episode psychosis. Child and adolescent mental health care has become firmly anchored in a model of leaving children with serious emotional disorders or mental illness in their natural settings – home and school – whenever possible and engaging all the players around them in their mental health development. We are here today because of concerns about school safety and the impact of mental health on it. It cannot be repeated often enough that most violent acts are not committed by people with mental illness, and most people with mental illness are not violent. We could eliminate all the murders associated with mental illness in this country and 96% of the nation’s murders would still occur. But, statistically, the risk of violence is higher in people with psychiatric disorders that distort reality and impair daily function. That risk is highest early after mental illness symptoms begin – precisely when individuals are most likely to be in high school or on college campuses. It is in the best interest of us all to intervene early and effectively in these diseases. To this end, nobody knows more about the health histories, risk factors, triggers and other characteristics of teenagers and young adults than the family members and caregivers who live with them and have known them all their lives. 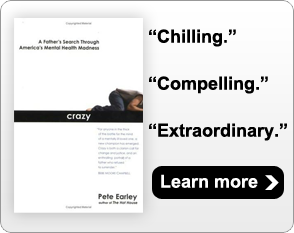 Family members possess unique insights into their loved ones facing mental health challenges, and they are uniquely positioned and supremely motivated to overcome those challenges. When we talk about mental health and the safety of our school children, we should be mindful that the most likely victim of mental health tragedy is the child him or herself. In 2016 and 2017 combined, five children died in seven mass assaults in America’s schools, and 17 more were wounded. In the same year, we lost 2,117 teenagers from the age of 15 to 19 to suicide and 3,606 young adults from the age of 20 to 24: 5,723 high school and college-age young people combined. Despite the productive collaboration I experienced with my daughter’s school and with the vast majority of her health care providers, I ultimately lost my Natalie to suicide. One of the things I did to cope with my grief was to participate in a family support group of the National Foundation for Suicide Prevention. As heartbroken as I was, and remain, over my daughter’s death, I could not imagine the grief of several parents I met there whose first knowledge their child had mental health issues came in the call notifying them their son or daughter was dead. Almost without exception, the child’s struggles were known to the school but had been kept from the family to protect the child’s privacy. For the child, privacy all the way to the grave. For the parent, a lifetime of agony that they had never been given a chance to save their daughter or son. As Americans, we all cherish our personal freedoms. We must also be cognizant that family members may not recognize mental health symptoms and some may even be contributing factors in a child’s mental health dysfunction. Families are not a replacement for a functional mental health system. But we should be beyond debating the principle of whether it is in the best interest of young people or their communities to exclude family members from the mental health care team. We don’t leave family members out of decisions about the care of aging parents with compromised thinking. We don’t shut family out of the ER when their loved ones have a medical crisis or are injured in car accidents. Federal law and clinical practice recognize the family’s vital role in mental health care. Anything less than universal embrace should be unacceptable. Our school children are our future. For their sake and ours, the HIPAA training mandates of the 21st Century Cures Act need to be funded and fulfilled so that inclusion, not exclusion, of families is the default. It was a year ago today (Mar. 14, 2016) my daughter Natalie ended her six-year battle with severe mental illness by stepping in front of a train in Baltimore. I could tell you all the pain and guilt and sheer hunger for her presence have been at least as bad as you might imagine. I could say I’ve decided “closure” is the dumbest word in the English language. I could describe how scary and humbling it is to feel like your brain has gone into a fog bank that will never clear. People often ask me how I have kept going. I say it just happens. You put one foot in front of the other. A day passes, a week, a month. And now a year. It’s not easy. Sometimes people ask how I’m able to talk to audiences about mental illness when she died of it. Answering that is easy. I say I’m one of the lucky ones because I’m an advocate. I can channel my sorrow into change for all the other Natalies. After I wrote about her death in the Washington Post, I heard from so many people who aren’t lucky like me. Young adults with mental illness fighting for their lives. Families shunned by neighbors and friends because they had a son or daughter or spouse who was sick. Suicide survivors who had lost not one child but two, or whose loved one took someone else’s life, too. A world of hurt. Continue reading this version here. Read original story in Washington Post article here.